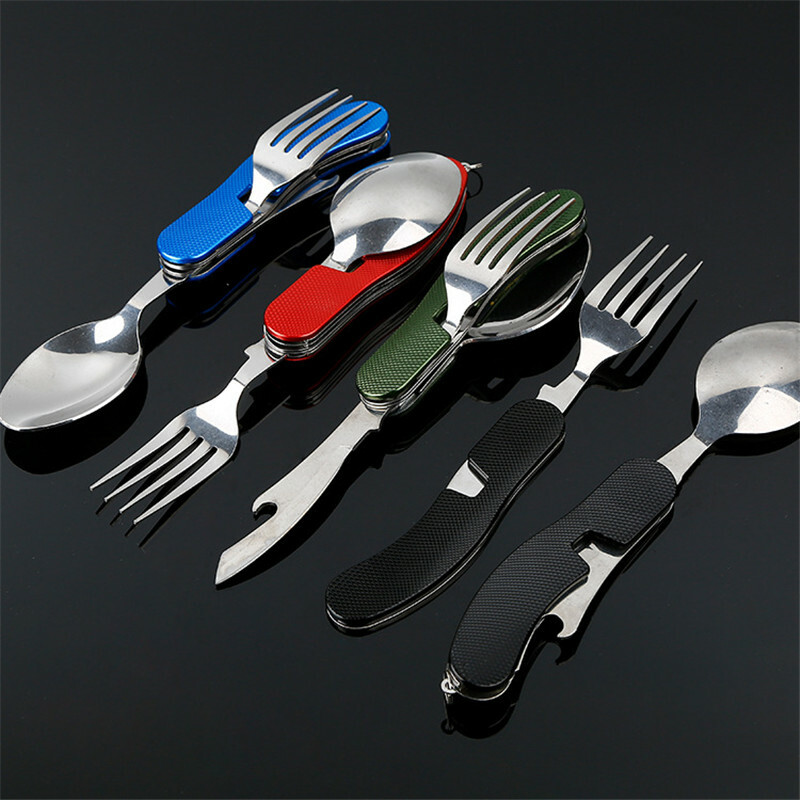 Lightweight, sturdy, compact, rust-free, and durable stainless steel material. 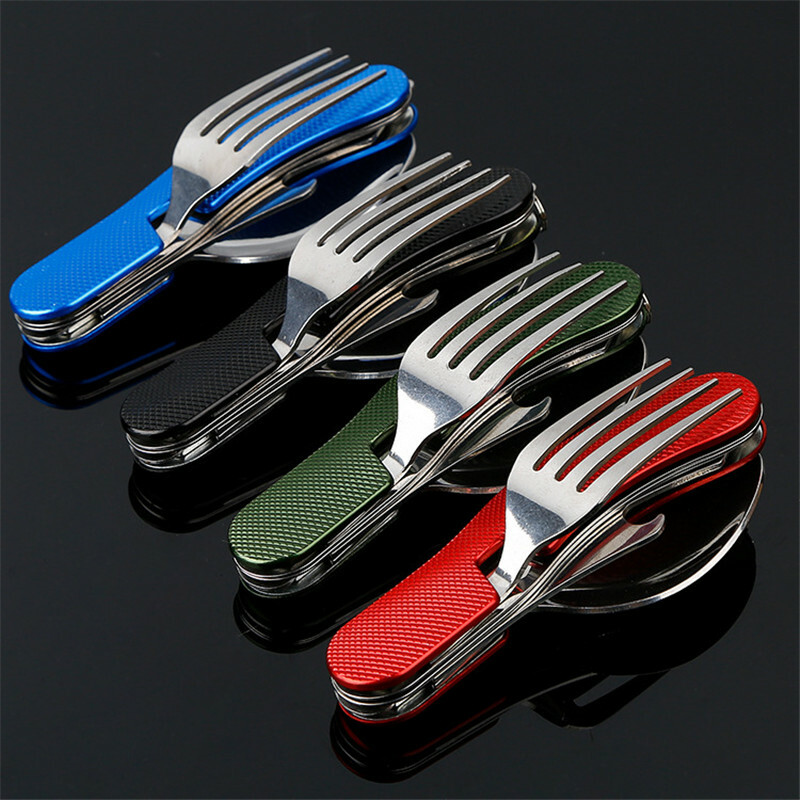 Good choice for camping, hiking, picnics, even at home. The product looks normal. 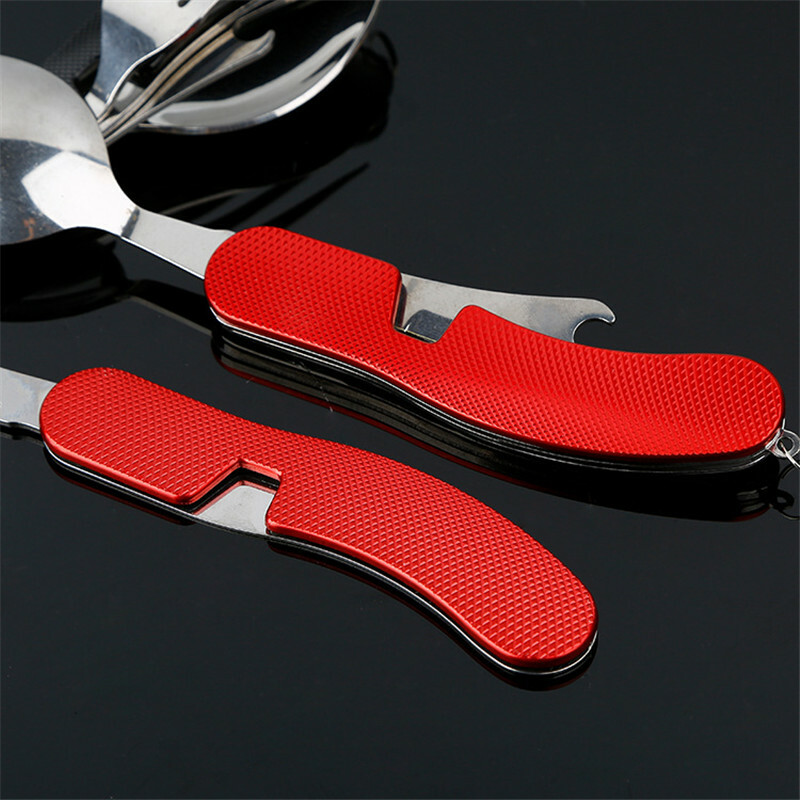 Beautiful handle, sharp knife opener, removable fork for more convenient use, but the spoon is small, slightly more tea. In a hike for 1, 2 days you can take with you, eat canned food. Quality seems fine, we'll see how it holds up after a few uses. thanks. Everything is fine. I recommend the product and the store. Very fast delivery. Quality is good. I recommend the product. Thank you store! Very good quality, arrived fast, I recommend this article. Everything is fine, I recommend! Excellent product for its price is just super. In general, I'm happy, I recommend the store. 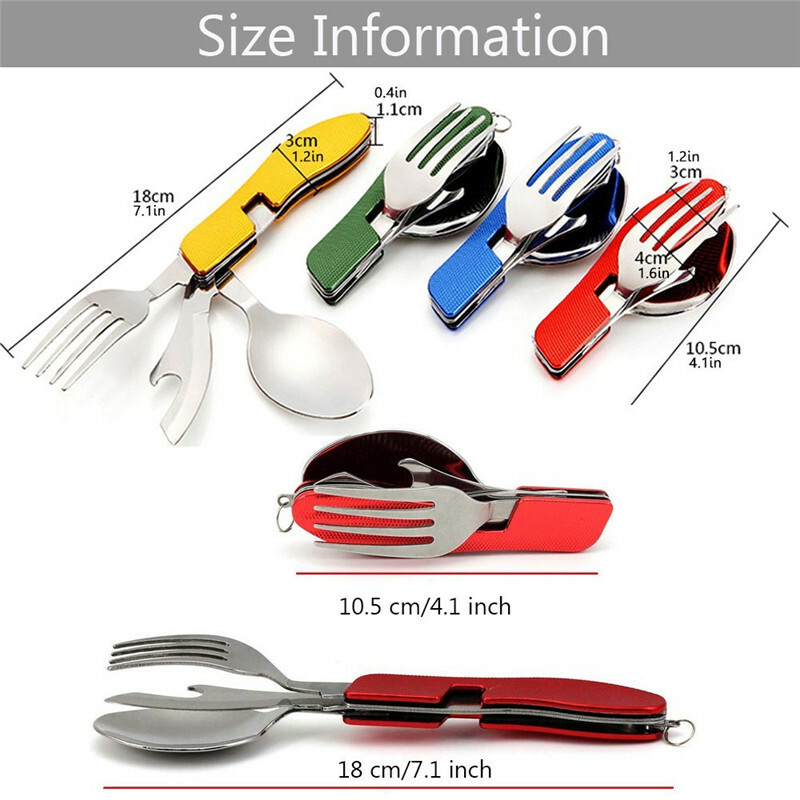 Everything is well packed, the quality is very good, everything is well opened and closed, quite light, the knife is surprisingly remarkably sharpened, I will order more. These are better then I hoped for I am very impressed with the quality and workmanship. 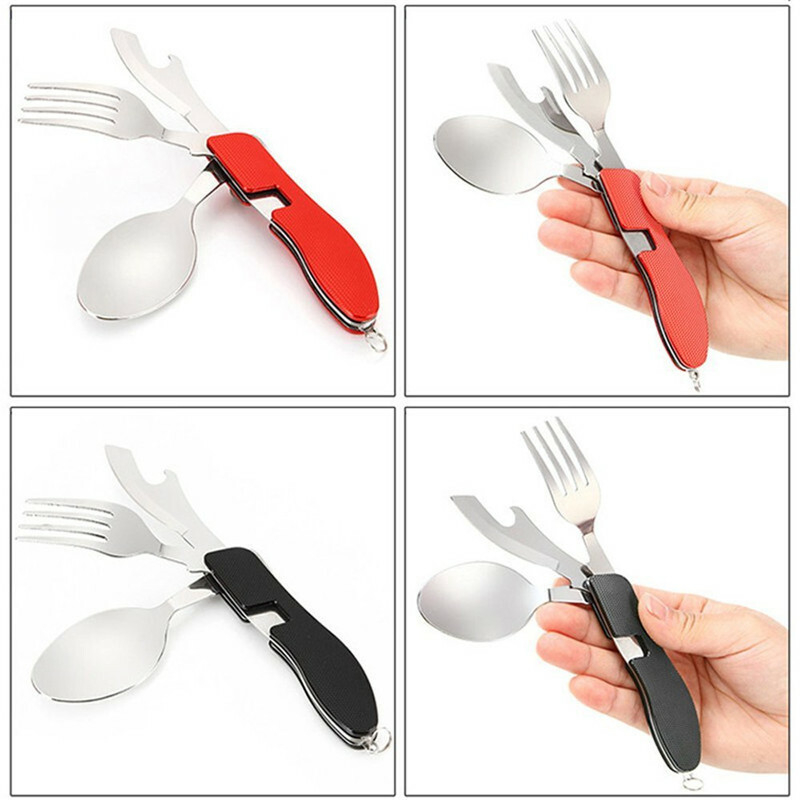 These also split apart to separate the spoon/knife side from the fork side. This is something I did not expect so it was a nice surprise for me. 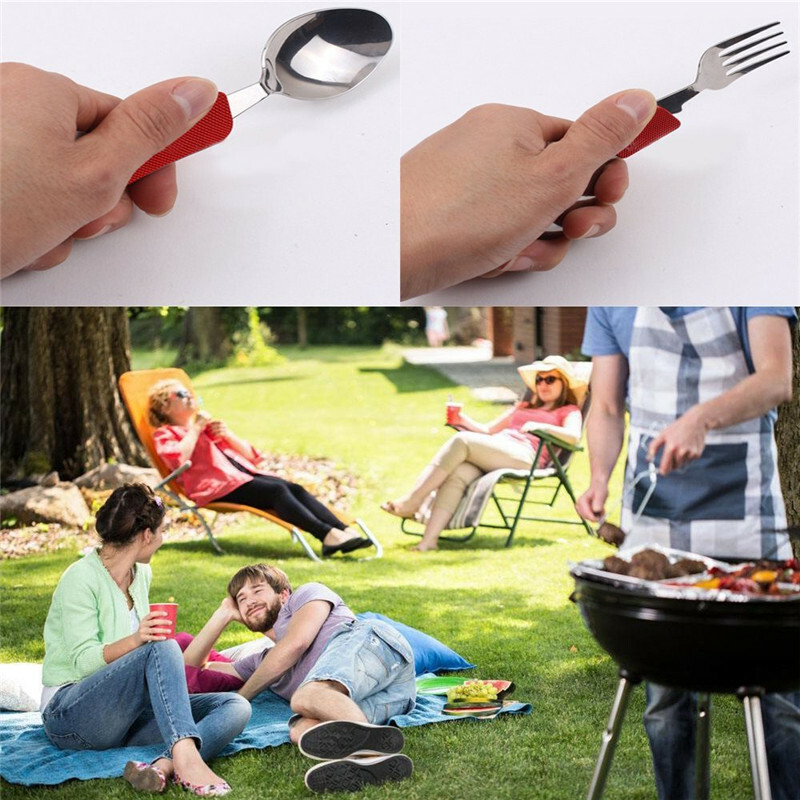 The catching mechanism that connects the two sides together is also cleverly designed. Arrived quickly as well.